In Wisconsin, the smell of burned marijuana coming from a passenger vehicle is typically enough to establish probable cause for police to conduct a search of the automobile and its occupants. In State v. Anderson, a police officer apparently approached a minivan that he believed was parked illegally. As the officer approached the van, he saw two individuals inside the vehicle. The law enforcement official testified that the driver refused to respond when the officer knocked on the man’s window. Instead, the driver allegedly moved in such a way the officer believed he was hiding or retrieving some sort of weapon. Due to this movement, the police officer stated that he opened the driver’s door. After opening the door, the law enforcement official purportedly smelled marijuana. The officer testified that he then ordered the driver to exit the minivan and began searching for the source of the smell. During the course of this search, the police officer allegedly found marijuana and cocaine in the driver’s pocket. Next, the driver was charged with possession of the drugs in Milwaukee County Court. Prior to trial, the defendant filed a motion to suppress the drug evidence based on a lack of probable cause to search him. After the circuit court denied the defendant’s motion, he appealed his request to the Court of Appeals of Wisconsin, District I. On appeal, the Wisconsin appellate court first stated that whether a law enforcement officer had probable cause to conduct a search was a “question of constitutional fact.” The court also said it was required to defer to the lower court’s judgment regarding the credibility of any witnesses, such as the police officer. Next, the Court of Appeals stated the circuit court believed the officer’s testimony stating he opened the door to the minivan because he smelled marijuana. According to the appeals court, probable cause exists when there is a “fair probability” that evidence of a crime will be found in the location searched. 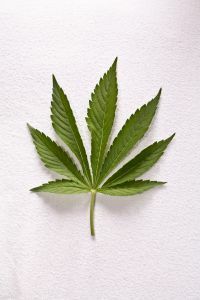 In addition, the court said relevant Wisconsin case law provides that the odor of marijuana emanating from a vehicle constitutes probable cause to conduct a search for contraband. Since the officer testified that he smelled marijuana coming from a vehicle that was parked illegally, and the defendant did not dispute the officer’s testimony, the Court of Appeals held that the officer had probable cause to search the minivan. After that, the court addressed the scope of the officer’s probable cause to conduct a search. According to the defendant, the police officer lacked the authority to search his person because there was another individual in the minivan at the time. The defendant claimed this prohibited the officer from specifically linking him to the drug smell. After examining the facts of the case, however, the appellate court disagreed. The court said the defendant’s proximity to the marijuana smell was enough for the officer to infer a link between the two. Likewise, the court dismissed the defendant’s argument that the officer lacked probable cause to search the minivan because the smell of burned drugs did not establish that drugs were still located in the vehicle. Since the police officer had probable cause to search the minivan and the defendant’s person, the Court of Appeals of Wisconsin, District I affirmed the lower court’s order denying the driver’s motion to suppress the drug evidence. If you were accused of possessing marijuana or committing another drug offense in Milwaukee, contact the law offices of Reddin & Singer, LLP online or call us at (414) 271-6400 today. We may also be reached using our phone number (414) 271-6400.